This article is under construction… come back when its done. -Need to explain the rotating ying yang upward cone illustration. There are two spiritual kingdoms (spirit world heaven & hell levels which are in a way the resurrected kingdoms/D&C 76 kingdoms of the previous cycle). The lower half / kingdom (hell) descends to a lower plane in the next cycle/final judgment (they do not even get a “resurrection”, they are sons of perdition in D&C 76 as well as the “third part” who followed Satan in the beginning of this cycle and never got bodies). Spirit paradise (which are often divided into two or three separate “spirit kingdoms” themselves or sometimes even six but are really only one in a sense, since the higher part descends into hell and helps everyone end up meeting in the middle) along with as many as will come ascend/progress to the upward cone plane/resurrection; but once they ascend, they themselves immediately are polarized into the new ying & yang or heaven & hell. It is this immediate polarization which is the three degrees of resurrected glory spoken of in D&C 76. So hopefully you see the complexity created by the cyclical nature of the progression of things. The immortal “spirit” world which existed at the time of Adam and Eve was actually the three degrees of glory/resurrection for the previous cycle. 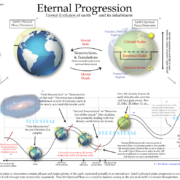 Then the fall occurred and created a temporal earth as well as a “hell”. People think the millennium is the resurrection spoken of in D&C 76, but it isnt at all? The resurrections in D&C 76 are “physical” resurrections into immortal worlds…. this is where the confusion comes about. I could say they are “spiritual resurrections” since they are into the/a “spirit” world but that causes misunderstanding, because all spirit is also “matter” or “physical”. Thus the better verbiage to differentiate things with is eternal world or temporal world. Meaning, is the resurrection into a temporal world with death where opposites mix, or is it in an eternal world where there is no birth or death and like attracts like. So the D&C 76 kingdoms are final resurrections into an immortal or eternal state. And the spirit world of the cycle started out as the resurrection kingdoms of the last cycle. People, including the early apostles, were under the impression that Christ’s (second) coming would be shortly after his death because in a way it was. The fact is that as soon as Christ ascended to his father and his God (who dwelt in the highest realms of the spirit body/world (and perhaps even a separate etherean world/kolob) he immediately began to descend through the spirit planes with his saints. In essence, the spirit body/world/planes began contracting/collapsing in on themselves as he began descending to successively lower planes and organizing all the inhabitants of those planes to continue on descending with him. Thus for the highest spirit planes, Christ’s advent was shortly after his death and resurrection. However, for earth and the lower realms of the Spirit World it has not yet occurred. For the middle realm of the Saints, however, it occurred when the Millerites said it did, in 1844. And thus it continues forever, the separation of the wheat and the tares. Also, add the illustration of how the highest two spirit kingdoms switch places on earth. The highest most righteous spirit planes come to earth as the middle son, in the middle land, in the middle time. They descend and become “second/last” to help bring everyone up. The father becomes the son. The downside to this is that the middle kingdom of the spirit world then on earth thinks they are the bomb, and boasts in their pride and damns themselves to become last. the middle symbol below should be the twisted snake symbol. -so how does the etherean worlds/kolob fit into this? -is the telestial kingdom the hell/prison of the next cycle? It says in 76:84 of the telestial, “These are they who are thrust down to hell. ” but I think it is saying it is mostly those in hell/spirit prison of this cycle which will inherit the telestial (lowest level of paradise) in the next cycle/resurrection. 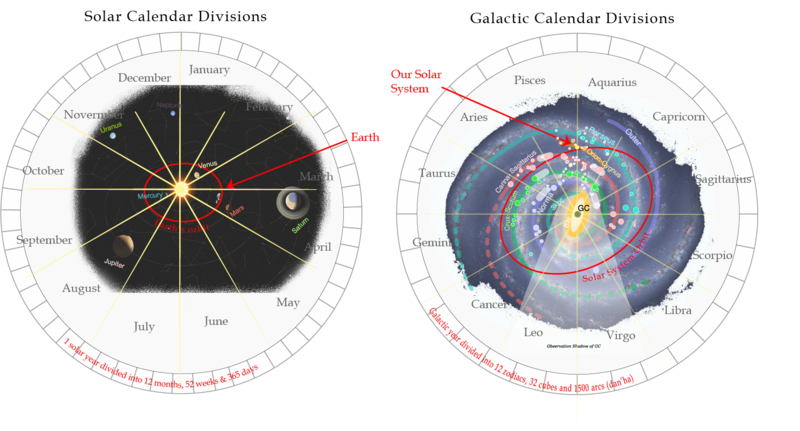 (since it also says in 76:89 that even the Telestial defies all understanding) And this same group is mostly likely to fall right back from their low paradise into the next cycle’s hell as soon as the stratification starts occurring. -So how does the millennium fit into this? It would seem that during the millennium heaven and earth combine into one. That is the paradise planes of the spirit world combine with earth, and hell is bound in its own place. Perhaps this is the nature of an “atmospherean” stage of a planet. It is “in the process of expanding or contracting”. So during the antediluvian age earth was contracting “into” corpor; and during the millennium earth with be expanding from corpor to etherea… So if you’ll remember, the spirit world start collapsing in on themselves at christ, and continue until heaven & hell reach each other… (and since earth lies directly between the two) when they reach each other the spirit world and earth will essentially become one… All veils will have been dropped/destroyed. Then something crazy happens… all hell breaks loose on earth. But why? How does this collapsing relate to the destructions that will come, and why satan and all those still in prison be bound from influencing the earth? The answer: because heaven and earth (corpor & atmosherea) are expanding toward etherea or dimension shifting up… so all those on heaven and earth who cannot abide that glory will not be able to rise with it! Would it surprise you to know that the view of eternity revealed and held by all religions is a bit incomplete? The Catholics may think they have the whole picture, and yet it differs from the Protestants and Evangelicals who both think their ideas of heaven, hell and the resurrection are superior. Then there’s the Latter-day Saints whose addition of multiple degrees of resurrected glory adds another dimension to the picture rivaled perhaps only by Hindu and Buddhist philosophies. -compare buddhist & Kabalah versions. -give jewish temple symbolism and then lds temple..